Take the express back in time with the 3 Car Train! Made of tin, this train would make a great addition to anyone's collection. 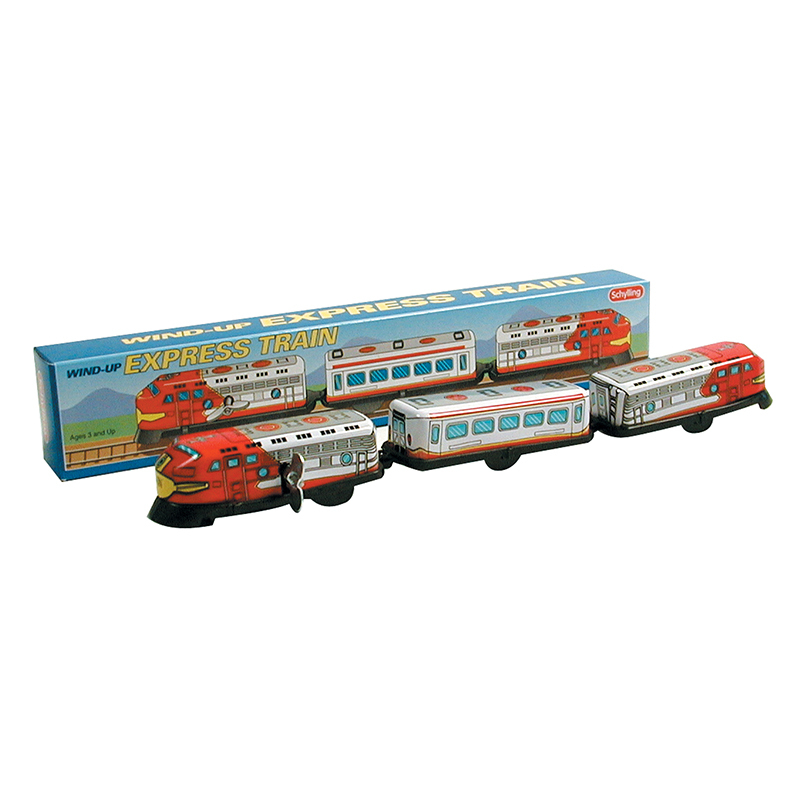 Our beautifully colored 3 car train has plastic wheels and joints that allow it to run on standard wooden toy train tracks This tin train replica is a great for a young engineer or any tin toy collector. Package: Color Box - "3 Car Train | MS069"